Photo courtesy of Art in the Age. 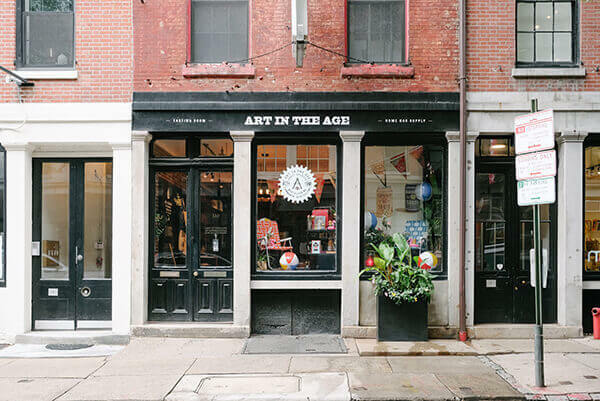 Find hip, independent boutiques in Philadelphia’s diverse neighborhoods—perfect for picking up souvenirs and one-of-a-kind gifts. cinnamon buns at Barry’s Buns. Local retailers abound in charming Old City, from one-of-a-kind home design stores to accessory and fashion boutiques. Stroll the cobblestone streets to find shops offering cool, handmade items like Philadelphia Independents. Check out pillows printed with the skyline and Ben Franklin, city-themed tote bags and coasters labeled with Philadelphia’s favorite word: jawn. 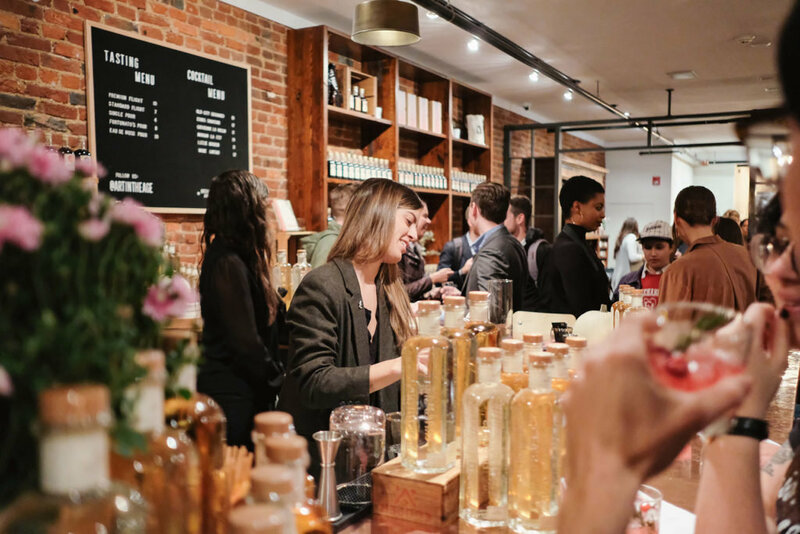 Spirits aficionados will want to shop at Art in the Age, a tasting room and home bar supply store also in Old City. Pick up innovative products from local spirits producers Quaker City Mercantile and New Liberty Distillery and browse the eclectic mix of house-made products, such as spirit-inspired soaps, cocktail bitters, glassware, books and more. Along Rittenhouse Row, you’ll find chic boutiques and national retailers that cater to all sorts of tastes. 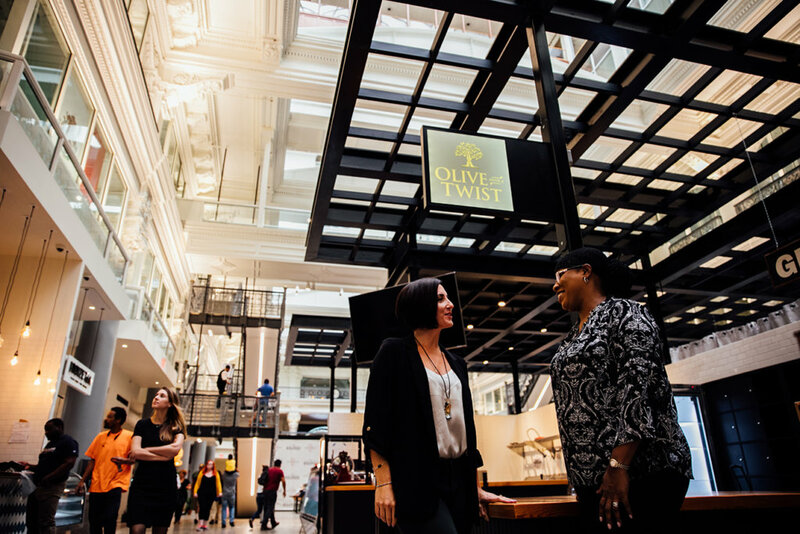 From the Avenue of the Arts to 21st Street between Spruce and Market streets, the district includes mainstays like Joan Shepp, a swanky shop that stocks high-end, fashion-forward designers, and Boyds, an exclusive department store with mens- and womenswear. If you’ve worked up an appetite post shopping, grab a table at one of the many cafes and eateries in the neighborhood offering outdoor seating. 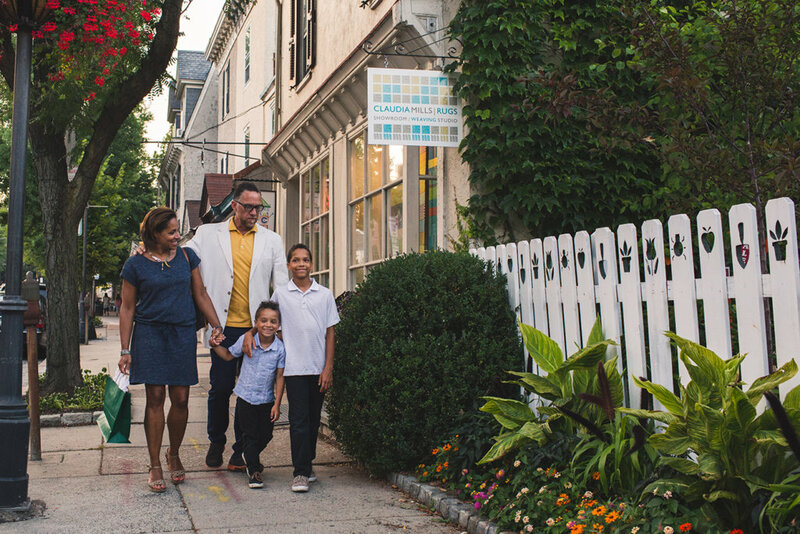 Independent boutiques dot tree-lined Germantown Avenue in the Chestnut Hill Business District, known as the city’s garden district. This posh northwest neighborhood is home to local gems like Artisans on the Avenue, which stocks women’s clothing, jewelry and other accessories made by small American designers; Bjorn & Co, a gallery and store that supports local artists; and the Market at the Fareway, a modern farmers’ market meets country store. Victorian storefronts and cool boutiques abound on vibrant Main Street Manyunk, a northwest neighborhood with a small-town vibe. Shop for housewares, art and designer duds from Nicole Miller, before taking a stroll along the historic canal that runs parallel to Main Street. Quaint Fabric Row on 4th Street between South and Christian streets has been a destination for textile shopping for more than a century. Today, you’ll also find boutiques, restaurants and galleries neighboring family-owned fabric shops.